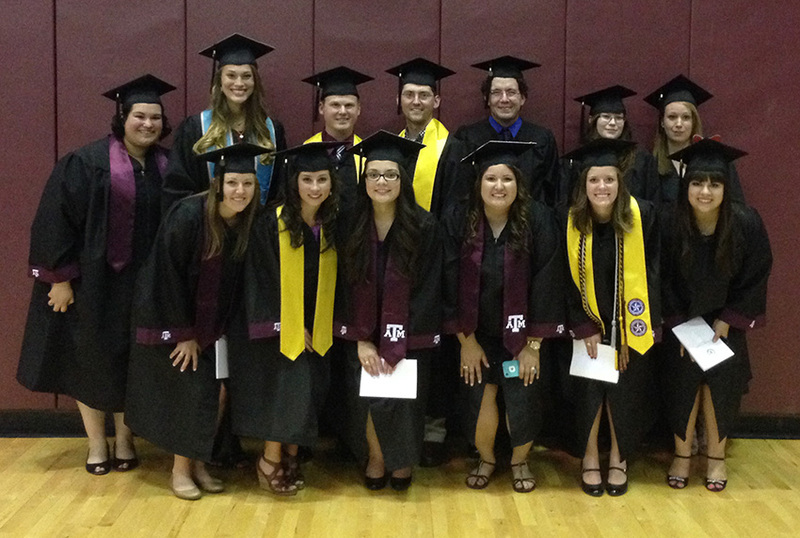 Sixteen students in the Forensic and Investigative Sciences program walk the stage as part of a record number of Aggies awarded degrees. We are excited to announce the launching of a newsletter for the Forensic & Investigative Sciences Program at Texas A&M University. Our initial goal for creating the newsletter is to develop a platform that can serve as a means to celebrate the many accomplishments of our alumni as well as our current students while building a network through which we can all remain in contact with one another. We also hope that the newsletter will provide those individuals associated with the program a method for communicating with each other. Dr. Brundage and I will do our best to foster the growth of the newsletter so that it remains dynamic and informative. As of now, the newsletter is very general and will be published annually; however, we encourage everyone to contact us with stories they would like to share with our community as we will be seeking such information for future issues. And, as “human interests stories” become more abundant, we will consider developing the newsletter into a series that could be published more frequently. In the meantime, if you enjoy what you read, or would like to be part of a listserv that will receive the newsletter through email, please send me your email address. Thank you for your time and we look forward to hearing from you! In May, the Forensic and Investigative Sciences Program (FIVS) at celebrates its 8th anniversary as a B.S. degree-conferring degree program at Texas A&M University. Since January 2012, the FIVS program has retained national prestige with its accreditation by the Forensic Science Education Programs Accreditation Commission (FEPAC) of the American Academy of Forensic Sciences. To date, 61 students have graduated with bachelor’s degrees in FIVS and another 19 students are slated to graduate this spring. Whoop! We have generated this e-publication, FIVS Monthly, to keep our Aggie FIVS Family vibrant and informed of the activities and many successes by the faculty, students (both current and former), and other assorted facets of the TAMU Forensic and Investigative Sciences Program. Thank you to our co-editors, Drs. Adrienne Brundage and Jeff Tomberlin, for spearheading this effort. Please do not hesitate provide us with feedback on our publication and to share with us any news items for inclusion in future issues. Enjoy and Gig’em. The Thad T. Hutcheson Moot Court Competition is for outstanding first-year advocates at the University of Texas School of Law. This year approximately 170 first-year law students applied to be considered for the competition and the top 64 were selected based on the strength of their final briefs and oral arguments in their Legal Research and Writing classes. The contestants then competed in single-elimination rounds with three-judge panels – each panel was comprised of outstanding legal practitioners from the Austin area (judges, litigators, etc). The final round was presided over by five prestigious UT Law graduates – this year, Professor Scott McCown, Judge Patricia Alvarez, Judge Lee Yeakel, Solicitor General Scott Keller, and Judge Cindy Bourland. In moot court rounds, the advocates switch sides from the position they last argued. The rounds consist of advocacy for whichever client the competitor represents. During the advocacy, each competitor is consistently interrupted by judges asking complex legal questions/challenges or proposing hypothetical situations, the legal ramifications of which the competitors must quickly analyze and predict. This year, Mrs. Hannah Roblyer, Forensic & Investigative Sciences, TAMU 13’, was selected for the tournament, advanced to the finals, and was ultimately selected as the champion after a fantastic and difficult round. She argued six times throughout the tournament – three on one side and three on the other – and was undefeated for the duration of the tournament. She indicated she is honored to have competed with such incredible advocates and in front of such exceptional judges. Seniors Caitlin Otto’s and Kelsey Muniz’s hard work and dedication during their college careers were recognized during Parents’ Weekend as they received the 2015 Senior Merit Awards during the Spring Awards Convocation on Saturday, April 18th. Tim O’Brien graduated with a BS in Forensic and Investigative Sciences in December 2009 as the first graduate of the program. Immediately following graduation, he began working at the Austin Police Department as a Property Crime Technician and was promoted to a Crime Scene Specialist two years later. During this time he attained status as a Certified Crime Scene Investigator through the International Association of Identification. In August 2014, Tim accepted a grant from the European Commission to begin an Erasmus Mundus Masters in Forensic Science (specializing in Forensic Chemistry). 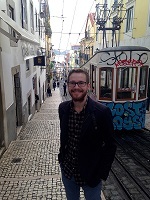 He is currently living in Lisbon, Portugal in the second semester of program and will graduate in the fall 2016. Charity Owings graduated from Texas A&M University in 2010 with a double major in Forensic & Investigative Sciences and Entomology, with a minor in Anthropology. Immediately after graduation, Owings continued with her graduate studies in Entomology under the supervision of Dr. Jeffery Tomberlin. During this time, she was able to travel around Texas in order to explore variation in distinct populations of the blow fly, Cochliomyia macellaria Fabricius (Diptera: Calliphoridae). 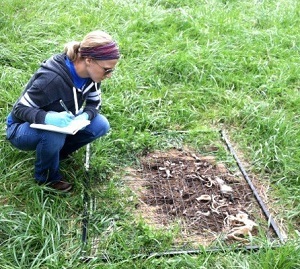 Aside from this research, Owings also had the opportunity to gain experience working forensic cases and teaching forensic entomology to law enforcement throughout the region. 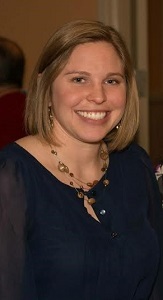 After graduating with her Master of Science degree in 2012, Owings began her PhD program in the Department of Biology at Indiana University-Purdue University Indianapolis (IUPUI) under the supervision of Dr. Christine Picard. Here, her research currently focuses on exploring the population genetic structure of forensically important beetles, flies, and mites. Kaylie Slaughter graduated from Texas A&M University in May 2010 with a BS in Forensic & Investigative Sciences and a minor in Chemistry. She continued her education by attending Penn State University in the fall of 2010 and graduated with a MPS in Forensic Science-Biology Track in May 2012. After graduation from Penn State University, she moved back to Texas to take a position at the Southwestern Institute of Forensic Sciences (SWIFS) or the Dallas County Crime Laboratory in the Physical Evidence Unit as a Forensic Biologist. Her main job duty at SWIFS is to screen evidence items for biological fluids and take samples from evidence items for further testing, DNA analysis. She has held that position for 2.5 years and in that time has gone through an intense training program. Since completing training and becoming a qualified analyst, she has testified in court a handful of times on her casework. Thomas O’Connor graduated from Texas A&M University with his BS in Forensic & Investigative Sciences during spring 2012. Thomas is currently a 2L (second year) student at South Texas College of Law in Houston and a J.D. candidate for May 2016. Thomas has indicated that law school is different, and more challenging, than his undergraduate studies. However, having a FIVS degree from Texas A&M has tremendously helped him adjust to the law school setting. In particular, the FIVS classes that required participating in debates, reading scientific and legal articles, and being randomly called on to discuss legal articles (you know the ones I am talking about) was an invaluable experience. In law school I read about five to six hours per night of dense legal opinions and case law that I have to be prepared to talk about in class if the professor randomly calls on me. Thomas truly believes that if he had not obtain a FIVS degree, the transition into law school would have been much less smooth. Thomas has even better news to report besides attending law school. He is proud to report that he is engaged to a beautiful Aggie named, MacKenzie Kitten ’12. They met at A&M and plan on getting married soon after he takes the July 2016 bar exam. Reggie Nubine graduated with her BS in Forensic & Investigative Sciences in 2012. Since gradation, he has been attending law school at the University of Colorado law school. In his three years in law school he has had the opportunity to immerse himself in many areas of substantive law. In his first year of law school he was dead set on becoming either a patent attorney, or an attorney who worked to reform the criminal justice system. However, his interests broadened throughout his time in law school after becoming aware of just how important lawyers are to our society. He has had the opportunity to intern in the public sector, analyzing and drafting policy on telecommunications issues (thankfully, he was able to understand much of the science thanks to his forensics background and physics classes); in the corporate sector, drafting agreements and improving corporate policy; and finally in the government sector, enforcing regulatory code and prosecuting offenders. Ultimately, he has choosen to go into the government sector instead of working for a firm because he wants to serve, protect, and advocate for the public. Further, he wants to ensure that the broad range of rules and regulations that states and local governments create are rational and just. As he completes his final year of law school he is gearing up to take the Colorado bar. He is planning on clerking with a state court judge following graduation. Upon completion of his clerkship, he plans on working for the Denver City Attorney’s Office. 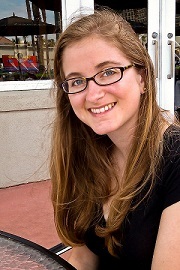 Kortney Parchman graduated with her BS in Forensic & Investigative Sciences in December 2012. 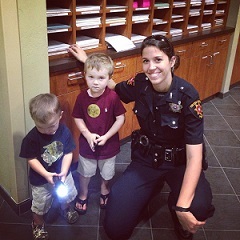 After graduation, she enrolled in the Central Texas Police Academy beginning on February 4, 2013. She graduated in the 152nd Basic Peace Officer Class on June 7, 2013 and was immediately hired by the College Station Police Department. Kortney has continued serving the community here locally as a Police Officer ever since. Courtney Weldon is a 2014 Forensic and Investigative Sciences graduate from College Station, TX. She is now a first-year graduate student at the University of Texas at Austin Lyndon B. Johnson School of Public Affairs pursing a Master of Global Policy Studies and specializing in Energy Security. Courtney plans to focus on nuclear nonproliferation. This interest stems from its combination of nuclear engineering, forensic science, chemistry, and policy. She wants to use both her technical and policy backgrounds to communicate between the scientific community and policymakers about nuclear security. Courtney hopes to contribute to the nuclear nonproliferation field by applying her skills to nuclear forensics. Nuclear forensics is valuable to nonproliferation efforts because it assists in the tracking of nuclear material that can lead to proliferation of nuclear weapons and technology to make highly enriched uranium and plutonium. By analyzing recovered evidence from nuclear sources using carbon dating and studying the isotopic mixture of the nuclear fuel, she can identify where material potentially originated. Courtney was recently selected for the Paul L. Leventhal Fellowship Program for the Nuclear Proliferation Prevention Project and will apply her expertise in forensic science and global policy to an internship in nuclear security this summer in Washington, D.C.
Barrett Riddle graduated with a BS in Forensic & Investigative Sciences from Texas A&M University in 2014. Since graduating, Barrett has been enrolled in medical school at The University of Texas Medical Branch. He is currently finishing up his first year of medical school and so far he has loved every minute of it. Medical school is everything he thought it would be and more. His professors and classmates are some of the most amazing people he has ever met. He has also had the privilege of interacting with patients during his clinical encounters. This summer he will be taking part in two clinical rotations, one in radiology and the other in general surgery. He will also be looking into research opportunities in the field of radiology and nuclear medicine. 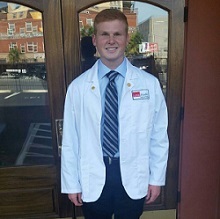 As much as he enjoyed learning about science, his favorite part of medical school so far has been the clinical aspect because interacting with real patients who need medical care is a constant reminder as to why we must work so hard in the classroom. He is extremely grateful for the opportunity he has been given to impact the lives of patients and their families in a positive way. 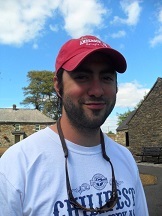 Barrett indicated that the amazing faculty in the Department of Entomology at Texas A&M played an integral part in his being accepted to medical school. Juliane Bounds is a senior in the Aggie Class of 2015. She will be graduating in May with a Bachelor of Science degree in Forensic and Investigative Sciences and a minor in Psychology. Juliane followed the law track of the FIVS degree, and worked part-time as a certified pharmacy technician throughout her undergraduate career. She also earned her forensic technician certificate through the Texas A&M Engineering Extension Service (TEEX) partnership with the Texas Forensic Science Academy. To earn this certificate, Juliane completed two minimester courses at the Riverside Campus in January and May of 2014. Enrollment in these courses was strictly limited and students were selected from among numerous applicants. The courses were each 40 hours and focused on crime scene investigation and latent fingerprint processing techniques. In the fall of 2014, Juliane interned with the College Station Police Department for a semester in the Criminal Investigations Division. In addition to assisting detectives with case follow-up, evidence collection, and suspect identification, Juliane had the opportunity to work with both the Hostage Negotiations and SWAT teams of CSPD. As an intern, she role-played a gunman and a hostage in two Special Forces training scenarios. Juliane is interested in furthering her education beyond a Bachelor degree, and intends to focus on the science behind the current forensic techniques and how these state-of-the-art methods can be applied in court. She plans to return to for her Master’s degree in the fall of 2016 before pursuing a career in forensic laboratory analysis. 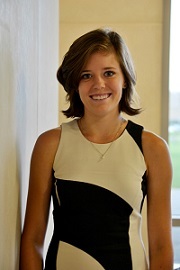 Charlotte Dearman is a senior in the Aggie Class of 2015. Charlotte indicated she has really enjoyed having the opportunity to take advantage of the amazing relationship that the Forensic & Investigative Sciences Program has with the TEEX Forensic Science Academy. She has taken seven classes with TEEX and hopes to take another before graduation. Without the FIVS program, she never would have stepped out of her comfort zone to apply for an internship in a city she had only visited once. The San Antonio Police Department was an incredible place to intern. She would recommend it to anyone wanting a broad, hands-on, and comprehensive experience of police work. Her favorite parts were responding to crime scenes with homicide detectives and being on patrol for “dog-watch,” or night shifts. Currently, she is interning with the Montgomery County Sheriff’s Office Crime Laboratory. She truly appreciates having the opportunity to learn more about evidence processing and crime scene processing in real-time. She hopes to pursue a career on the local law enforcement level after attending a basic peace officer academy. Carmen Tellez is a senior in the Forensic & Investigative Sciences Pre-Law major for the class of 2015. During these past four years at Texas A&M, she has not only applied herself academically, but she has also been involved in many extracurricular activities such as the National Society of Collegiate Scholars and the Aggie Forensic Investigative Science Organization. Most importantly, she has learned what it means to be a Forensic Scientist. Not only has she learned about the field’s important implications in trying to resolve legal cases, but also its flaws and limitations. After graduation, she plans to attend law school and apply everything that she has learned from her insightful courses and committed professors with the hopes of creating a stronger relationship between science and criminal law.